As of right now you can go to Windows Essentials 2012 (Web install) and download the Windows Essentials suite which has Windows Live Writer 2012 as part of the package. This version runs on Windows 7 and Windows 8. This is build 16.4.3503.728. I have not had a chance to talk much with the team as to what has changed, but I am using the new version to make this post. I know that they are taking advantage of IE 10 in Windows 8 so it should, and I can say does, work well on Windows 8. Some of my pet peeves are fixed. In the past I had blogged about a few issues with IE 9 that might have you second thinking beta testing IE 9 on the same machine that you blogged with Windows Live Writer. I am happy to say that with the Release Candidate that came out today all of the know issues between IE 9 and Live Writer have been fixed. If are still having issues with the release candidate and Live Writer or Live Mail please make a comment in this post and also report the issue in the forums. If you have been using the IE 9 beta it is recommended that you uninstall it before installing the release candidate. Once you have done the uninstall you can find the new version at http://www.beautyoftheweb.com/#/download. Ed Bott at ZDNet has a great write-up about IE 9 and tweaks you might want to make if you find a few things different from what you are used to in IE 8. One of the nice things about inserting a map into your blog post using Windows Live Writer is that you have the full capabilities of the Bing map services for Virtual Earth. This means you do not have to enter only an address as the location but you can also enter landmarks. 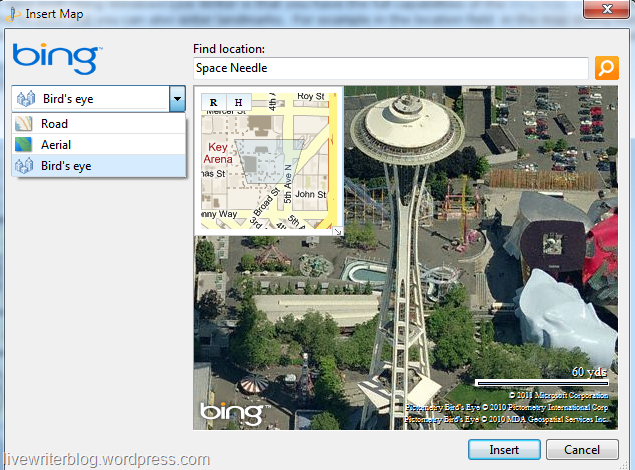 For example, in the location field in the map dialog instead of an address for the Space Needle you can just enter “Space Needle” and hit the search button. At this point you see a map for the location of the Space Needle in Seattle. Another nice feature is that in many places you can select from the Road, Aerial, or Bird’s eye view of a location of the map you want to insert in your blog. Of course the best part of inserting a map in your blog is that for the readers of the blog they can click on the image like a hyperlink and they are taken right to the Bing map website where they could get directions to the location you are blogging about from where ever they are. Click on the images/maps below and you can map a trip to the Space Needle, Disneyland, or the Taj Mahal! I should note that depending on the language of Live Writer you are using the Bing map service might behave differently. Different countries have different guidelines for what is displayed in maps and fun things like border locations. 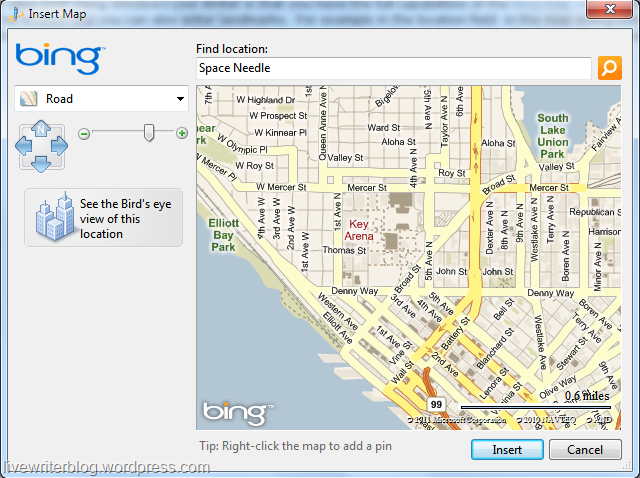 In these cases Live Writer matches what you would find if you just went to Bing maps in your browser for that country. Not all places have a Bird’s eye view. In a few cases you might not see Aerial view, only the road view and that might not allow you to zoom in to the same detail as other locations. 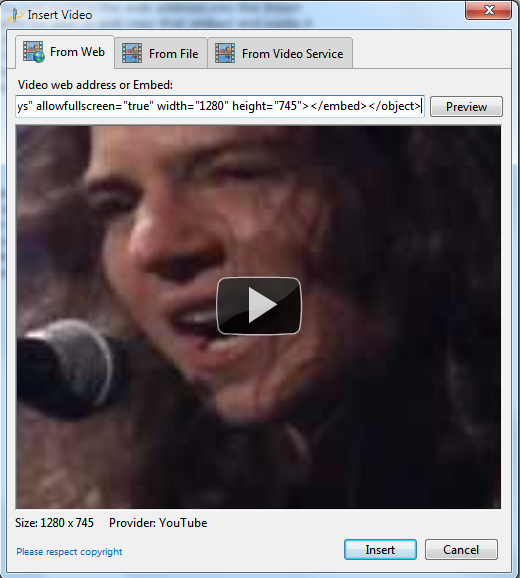 Recently there has been an uptick in the number people asking about how to embed videos from YouTube into Windows Live Writer so that you can include the video in your blog post. The problem stems from the fact that YouTube is using <IFRAME> as the default for their embed and Liver Writer is not really happy about the <IFRAME> tag in the Source view or pasted into the Insert Video dialog. There is a couple of reasons for this but one of the main reasons is that not very many blog servers support IFRAMEs and if you were to publish with one it would just get stripped out of the source and that might cause data loss for you. Off of the top of my head Blogger is the only one I know that lets you add an IFRAME in their blog editor. This post is about how to help you add a YouTube video to your blog so let’s move on. If you are on the YouTube site you should be able to just copy the URL from your browser and paste it into Live Writer and it should convert it to a video and the location you have pasted. Alternatively you can select to Insert a Video from the web and paste the web address. A problem can occur when you want to use the embed created from within a YouTube web page. 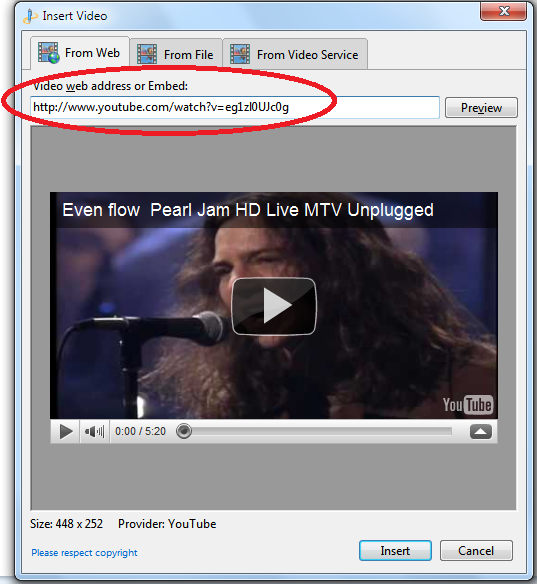 The embed can contain more options beyond what you get by just pasting the web address into the Insert Video dialog. You used to be able to just copy that embed and paste it onto the Insert Video dialog or change to Source view and paste it there. Since YouTube has gone to IFRAME by default in the embed instead of an OBJECT tag this no longer works but there is a quick way to get it working with Live Writer. When you click on Embed on the YouTube page check the check box to “Use old embed code” and this will switch the embed source from an IFRAME to an OBJECT which Live Writer can work with. This way you can paste it right into the Insert Video dialog in Live Writer or into the Source view. 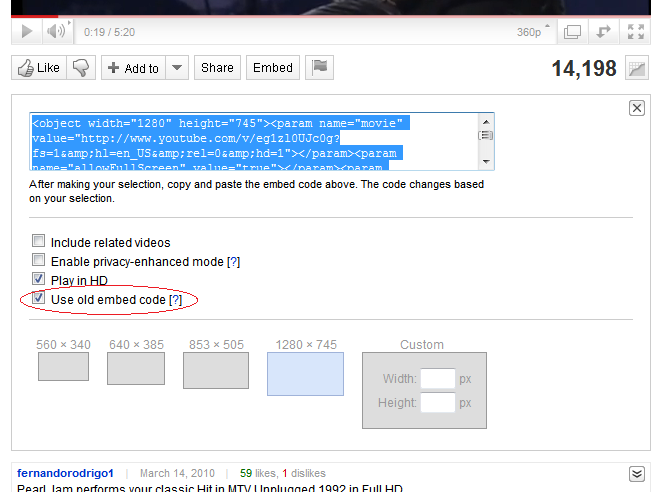 As you can see you have a lot of flexibility when pick the embed option in YouTube. 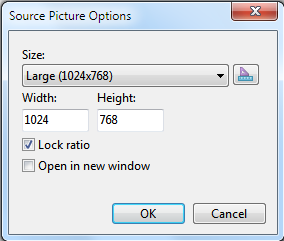 You can pick a specific size for the video or elect to play the HD version as examples. If this was helpful for you please leave me a comment in this post. Silverlight Pivot viewer Module: enable easy & flexible embedding of Silverlight Pivot in Drupal content types, using a set of preconfigured data sources (OData, a, b, c). In addition to the announcement the Interoperability team has a blog post about a hands on look at using Drupal on Windows Azure and using the four new Drupal modules. If you have installed the plug-in on your hosted WordPress blog before you configure Live Writer then it should just work and you will see additional options in the dialog. 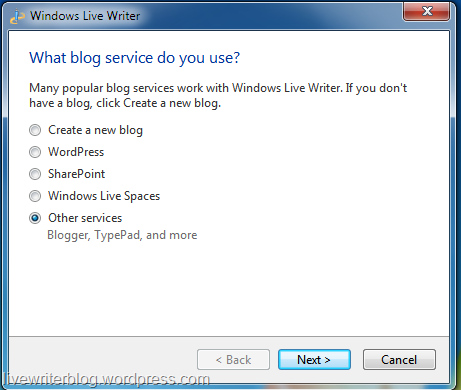 If you have installed the plug-in on your hosted WordPress blog after you have configured Live Writer then you need to reconfigure Live Writer. To do so from the application menu select Options. 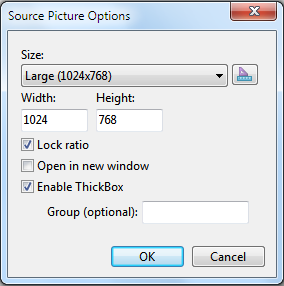 Next select Accounts and then pick the blog that you want to enable image support for. Click Edit and then click the “Update account information” button. At this point just step through the wizard clicking Next and when it is finished you should now have support for your image effects plug-in. This tip should also work for other blog servers that have plug-ins for image effects like dotnetnuke. Squarespace as a blogging platform has been around since 2003. 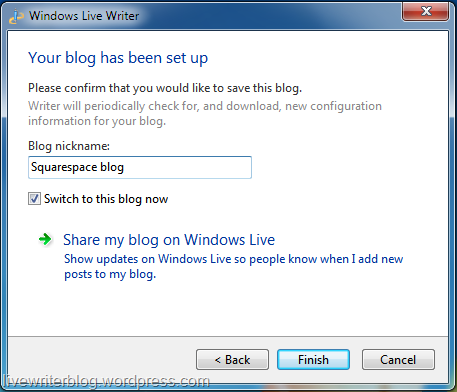 It was not until the 2011 release of Windows Live Writer that Live Writer really worked well with Squarespace. Configuring Live Writer to work with Squarespace is fairly simple. First launch Live Writer and if have already configured a blog select “Add blog account…” from the blog accounts drop down. In the first dialog select “Other services” and click Next. Enter the URL for your blog on Squarespace blog. If you do not have a blog on Squarespace you need to go and create an account and then come back to Writer and enter the URL for your blog. Also enter your User name and password in this dialog. Then click Next. You will see that it is setting up your blog account. There is a slight chance that it might prompt you to do a temporary post to detect your blog theme but for Squarespace the themes are generally straight forward and you might not see the detection dialog. On the final step you can enter a blog nickname that is show in the blog accounts drop down in Writer. 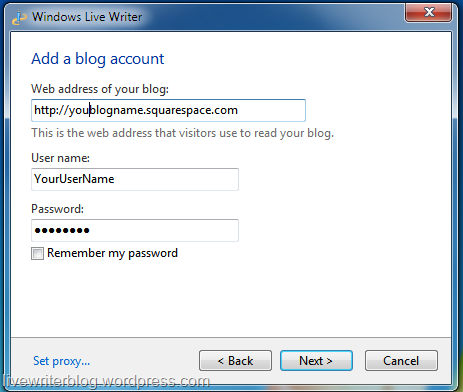 You have the option to share your blog with those on Windows Live. Click Finish to complete the setup. At this point you can now use Live Writer as the blog editor on Squarespace. Enjoy! 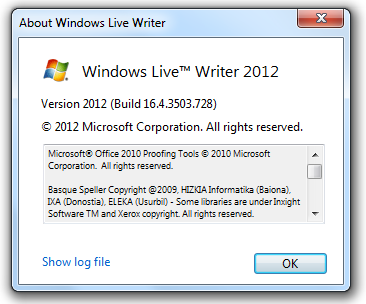 I’m Posting every week in 2011 using Windows Live Writer! WordPress has launched a drive to have people blog every day (or at least every week). 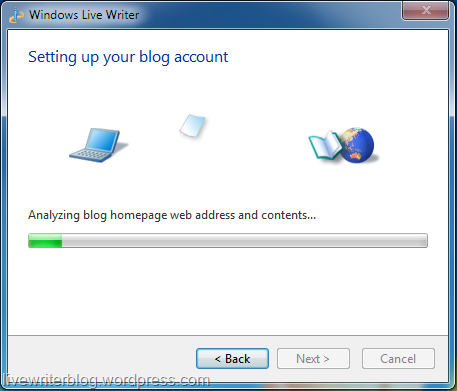 If you are going to blog you might a well be using Windows Live Writer! Work is too busy to blog every day on this blog, especially since I am not on the direct Live Writer team anymore but I should be able to post at least once a week about Live Writer. My question to y’all is when do you want to see the post or does it mater? Is there a day in the week when you tend to do more reading? Does it matter what time the post would go up (let me know in UTC time if it does)? I know it won’t be easy, but it might be fun, inspiring, awesome and wonderful. Therefore I’m promising to make use of The DailyPost, and the community of other bloggers with similar goals, to help me along the way, including asking for help when I need it and encouraging others when I can.